The Zimbabwe Defense Forces (ZDF) has dismissed as untrue, reports that soldiers have been deployed in rural areas ahead of the July 30 elections saying the public should report any army officer intimidating people as they are doing so without the knowledge of their commanders. MDC Alliance Presidential candidate, Nelson Chamisa and his National Patriotic Front counterpart, Retired Brigadier Ambrose Mutinhiri have accused the army of deploying soldiers to intimidate people in rural areas while campaigning for Zanu PF. Addressing the media in Harare today, Colonel Everson Mugwisi said the army has no direct role in the running of elections adding that they are willing to assist the electoral body, Zimbabwe Electoral Commission with transport whenever necessary. “The role of the defence forces is to maintain law and order. We only assist whenever we would have been asked to assist. Our role in the election is to support the Zimbabwe Republic Police in their role in the maintenance of law and order before, during and after the harmonised elections. “We also remain ready to assist the Zimbabwe Electoral Commission, with transport, where necessary. Beyond that, the ZDF remains ready to defend our country’s integrity and interests,” said Col Mugwisi. Turning to members of the ZDF who attend Zanu-PF rallies, Col Mugwisi said their attendance should not be interpreted to mean support for any party as they will be there on duty to protect the “VIPs”. He, however, said members of the ZDF have the freedom to vote for any political party of their choice and could not be drawn into giving the exact figures of army officials who applied for postal voting. The Zimbabwe National Army has a history of meddling in politics of the country with the then ZDF Commander, General Constantino Chiwenga vowing never to salute a President without liberation war credentials. In 2008, the army was again actively involved in the political violence against opposition supporters in the run-up to the 27 June Presidential runoff elections. 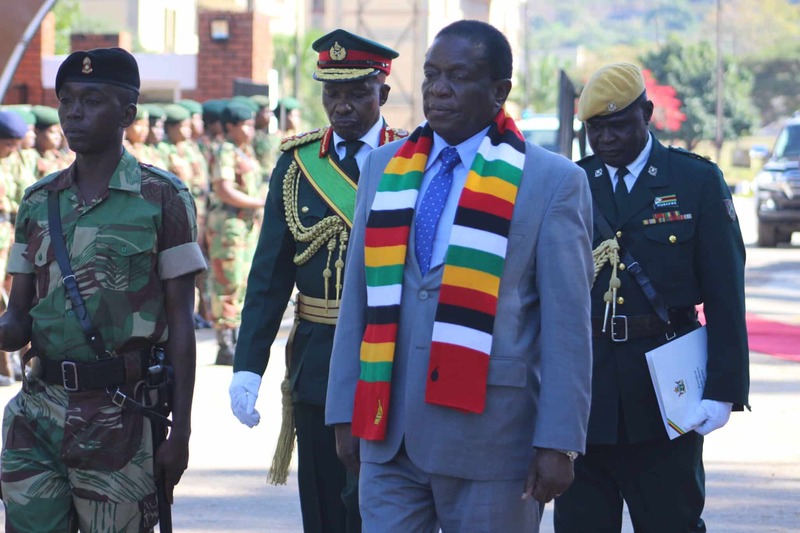 In November last year, the army under the command of Chiwenga, spearheaded Operation Restore Legacy that led to the removal of former President Robert Mugabe from power.